Barren River Lake State Resort Park is a water-lovers paradise surrounded by forested, rolling hills. The resort is located near Kentucky's famous cave area, which includes Mammoth Cave National Park, the longest cave system in the world! 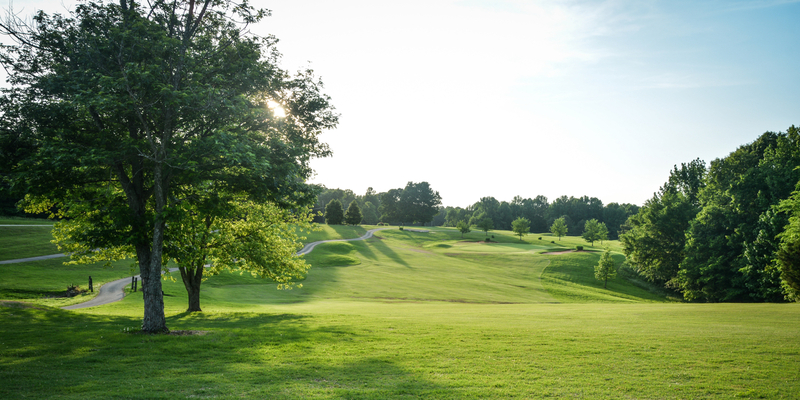 The course at Barren River Lake State Resort Park offers a challenging test of golf in a relaxing setting. The course winds around hills and through valleys near the shore of Barren River lake. The layout will test your course management skills. Accurate shots to well chosen positions are a must. This is a course that you can't play just once. But when you've finished #18, enjoy a fine dinner at the lodge, and partake in the many other amenities of the park. Please call 270-646-4653 for current rates. Call 270-646-4653 for rates and tee times. Contact Barren River Lake State Resort Park at 270-646-4653 for more information and details on holding a golf outing at the course. Surrounded by rolling, tree-covered hills, the lodge overlooks the beautiful 10,000-acre lake. The lodge has 51 rooms and offers full amenities. Open year-round. Rooms are available by late afternoon. Check-out by noon, Central Time. Pets are not allowed (with the exception of service dogs). Enjoy the contemporary styling of the park's 22 cottages. Each cottage has two bedrooms and two baths. Several of our cottages provide charming lake views while other cottages are nestled in the woods providing a cozy getaway. Tableware, cooking utensils, and linens are provided, with fresh linen available daily. Open year-round. Cottages are available by late afternoon. Check out by 11AM. Pets are not allowed (with the exception of service dogs). Enjoy the relaxing atmosphere of an upscale fish camp while partaking of our new entrees like salmon, striped bass, trout and crab clusters. Our famous hot brown and juicy burgers are on the menu as well. As a strong supporter of KY Proud products, we buy locally grown products when possible. The restaurant has seating for 146 and has 2 separate, private dining areas that may be used for banquets and special celebrations. This profile was last updated on 11/12/2018 and has been viewed 17,539 times.